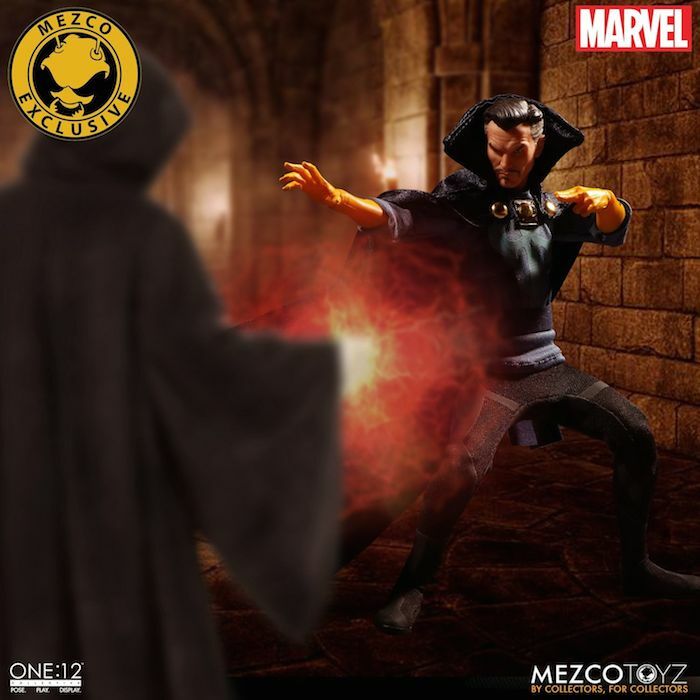 Dr. Strange’s Original Look Joins the One:12 Line! 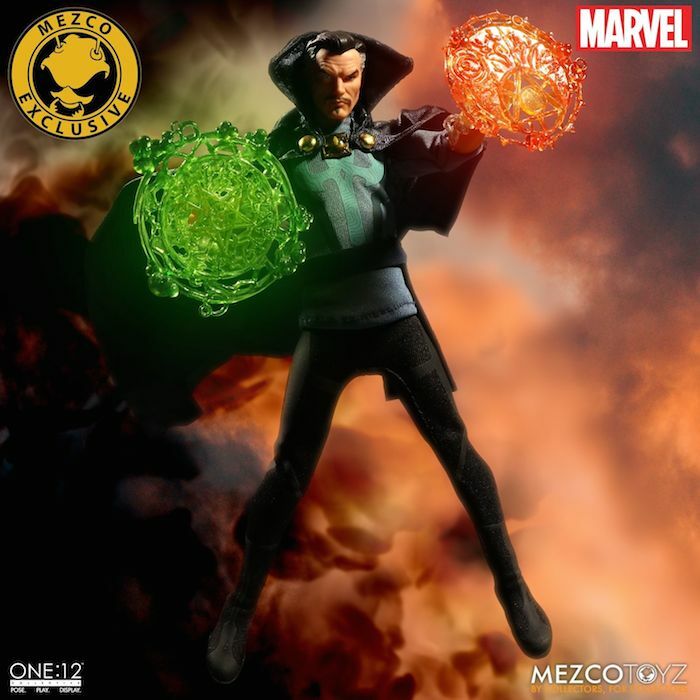 Mezco has released a number of Dr. 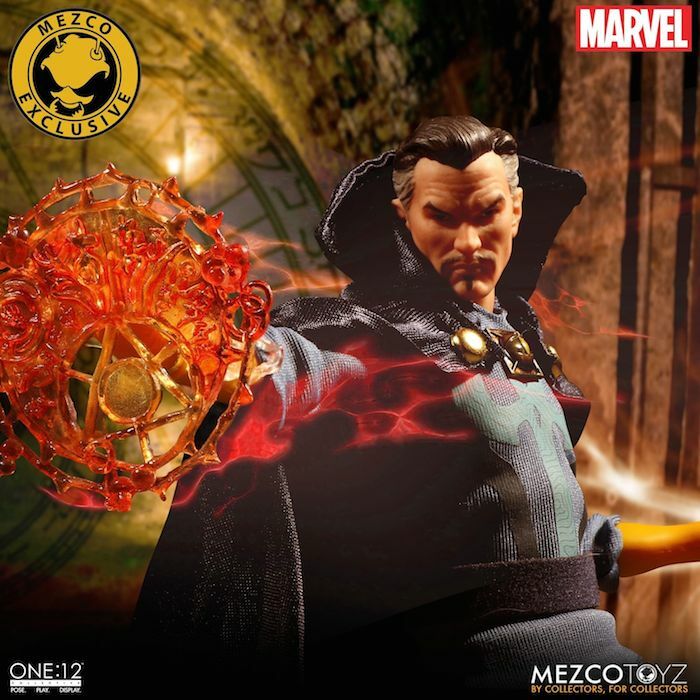 Strange films including an MCU and comic book version. 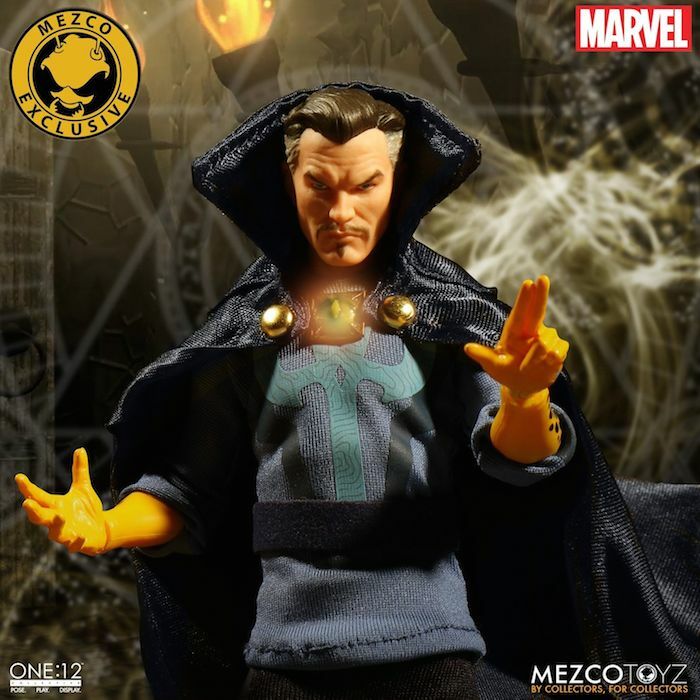 Their latest is based on his first appearance in Marvel comics. 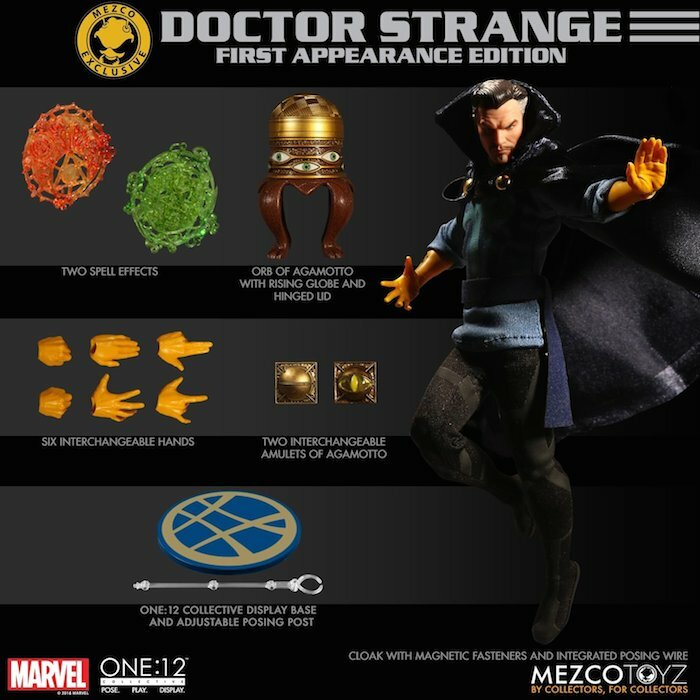 It should be noted that this figure will be available exclusively at NYCC & Mezco’s website. 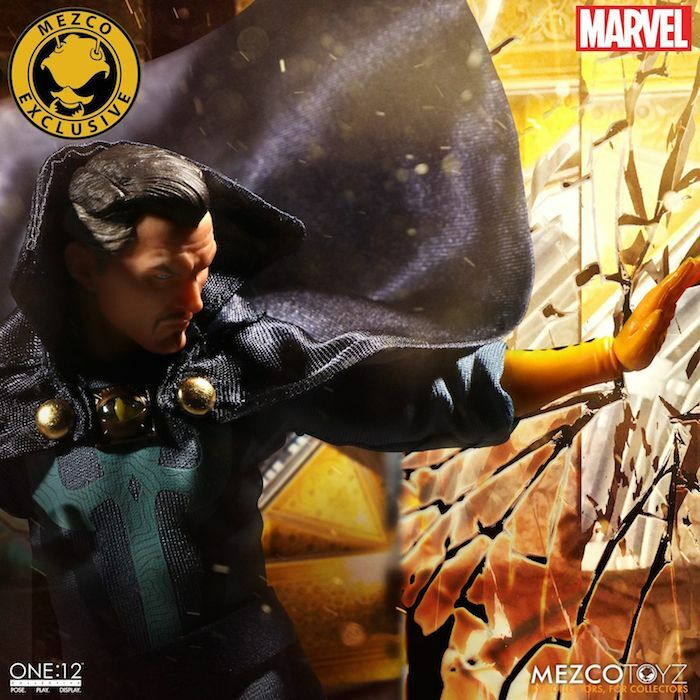 I’m always impressed with Mezco’s One:12 figures even though I haven’t bought any yet. 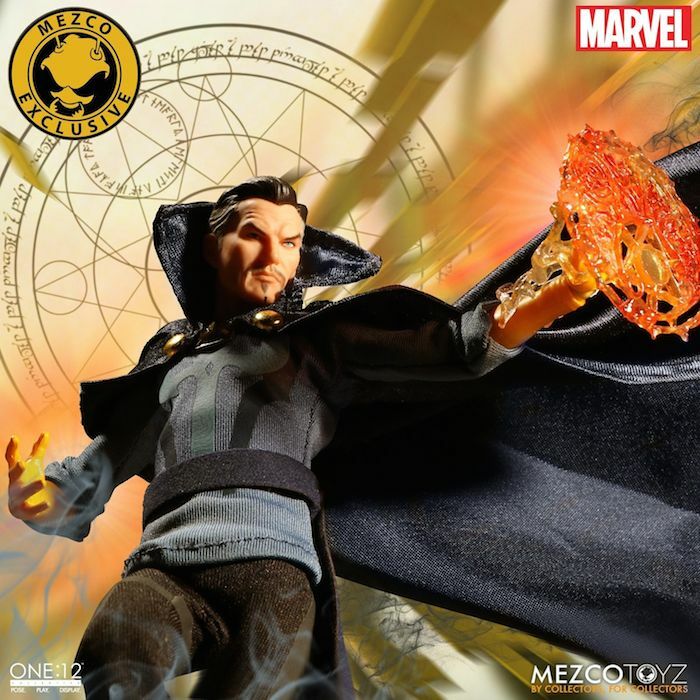 I’m familiar with Dr. Strange’s original comic book look and I have to say Mezco really have nailed it. 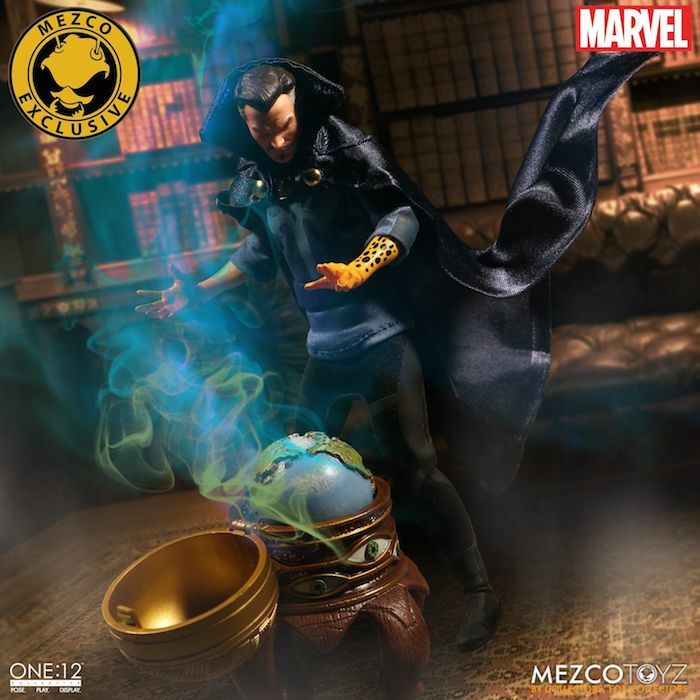 He’s wearing black fitted pants with attached boots, his blue tunic with the pattern on and with the belt around his waist, his iconic yellow spotted gloves, and cape. I really do love the overall look to this figure I must say. 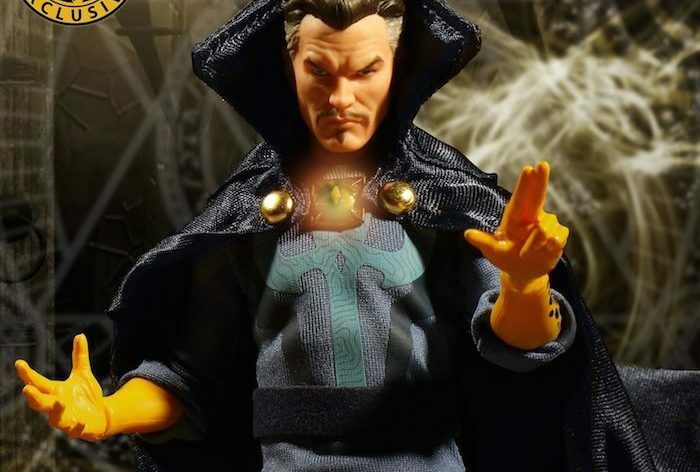 I really love the look of the costume and the stern and concentrated look on Strange’s face. The grey streak through his hair is a great detail which is essential for all Dr. 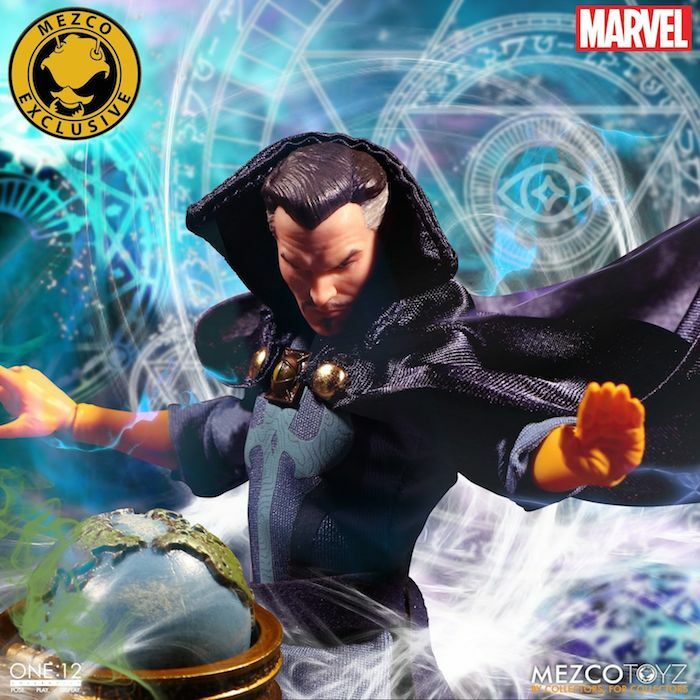 Strange figures. All the accessories look very well detailed and made to a high standard. I really love the eyes of Agammoto’s and the orb and the spell effects. They really do look amazing. 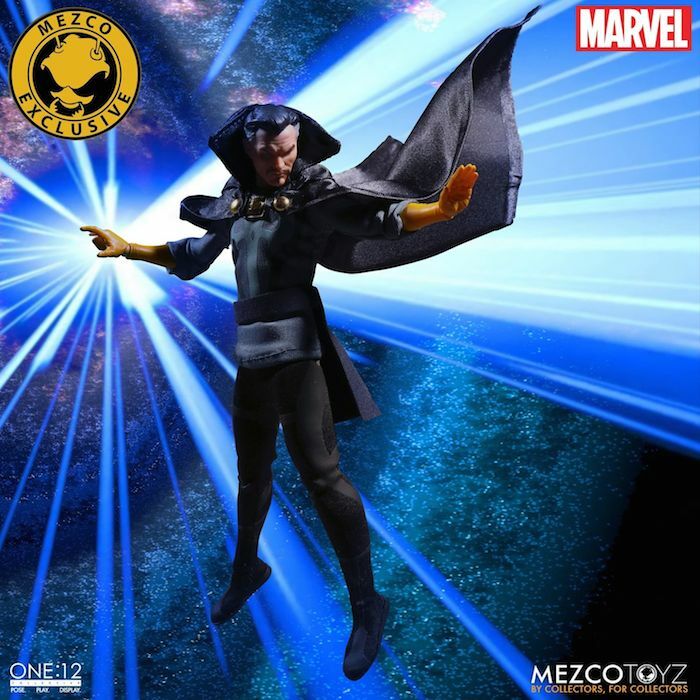 I would certainly love to have this figure on display that’s for sure. 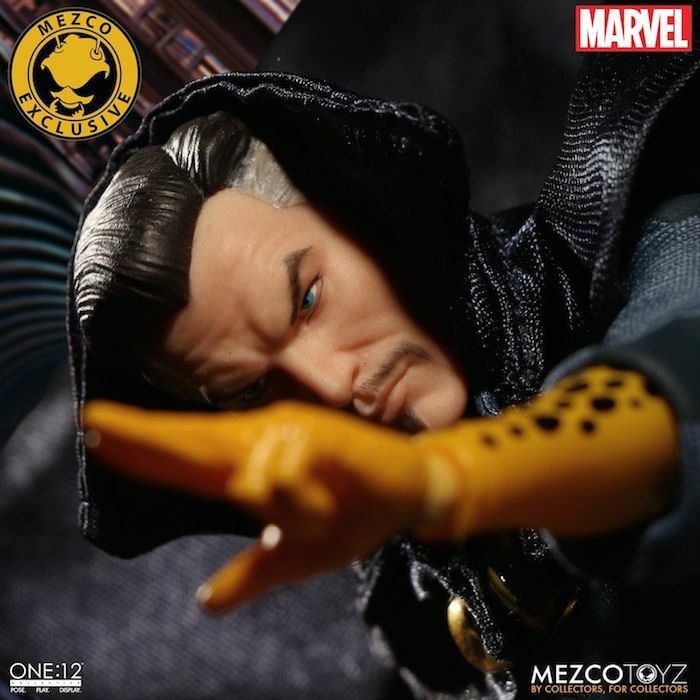 NYCC will be on the 4-7 of October this year and there will be limited quantities of this figure available at the convention and on their website.